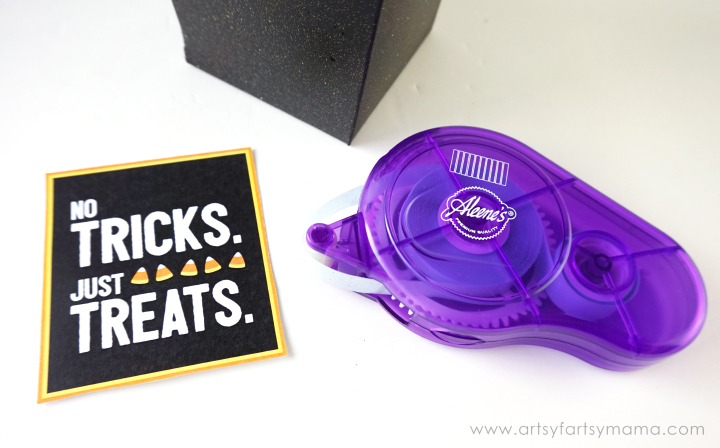 Surprise your friends with this No Tricks Just Treats Gift Idea! Halloween is such a fun time of year! It's finally fall, there's pumpkin-flavored everything, and dressing up is a blast. I've always been a little anxious when it comes to trick-or-treating though. What if someone decided to trick instead of treat?! Well, with this gift idea, there's nothing to worry about. The box literally tells you what's inside. No tricks. Just treats. Perfect for your favorite teachers, friends, and co-workers!! First thing you'll need to make this gift is a box to put your goodies in. 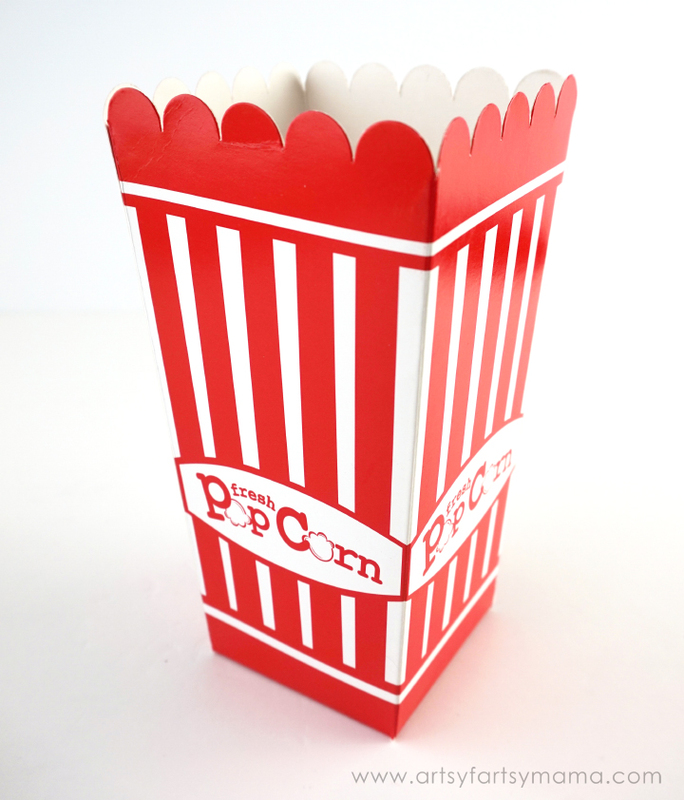 It might not look the part right now, but this World Market Popcorn Box is a cute and convenient way to package up some sweet treats for your Halloween gift. All it needs is a little paint and a touch of sparkle!! 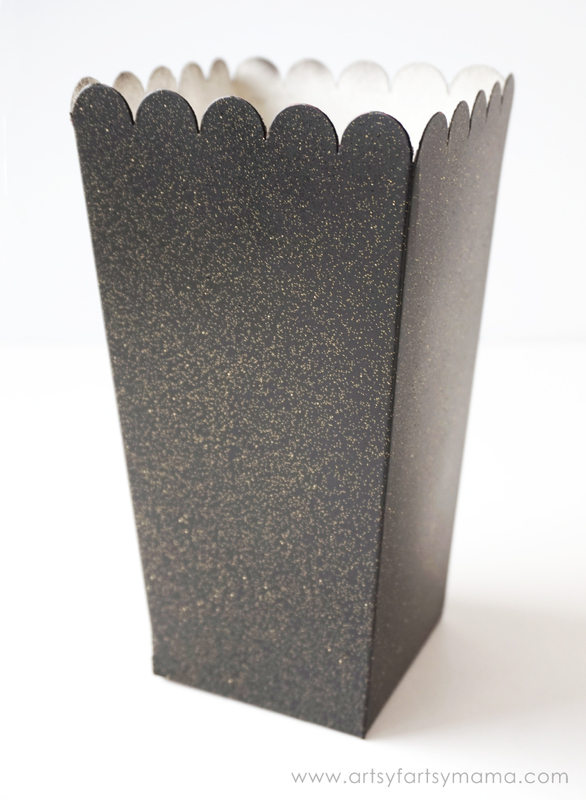 To cover up the red and white stripes, I added a couple of coats of black spray paint to both sides of the box while it was still folded flat. Each coat of paint needs dry completely. Then, I added some gold sparkle with FloraCraft Spray Glitter. Let the box dry while you prepare your treats! 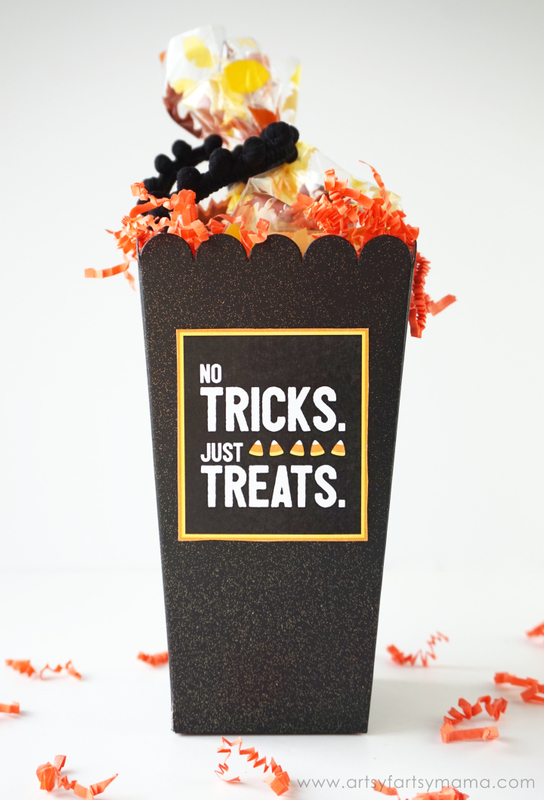 Print out the No Tricks Just Treats Gift Tag, cut it out, and stick it onto the popcorn box with some glue or tape. I really love using Aleene’s Tacky Line Runner for projects like this because it holds strong and is easy to use. 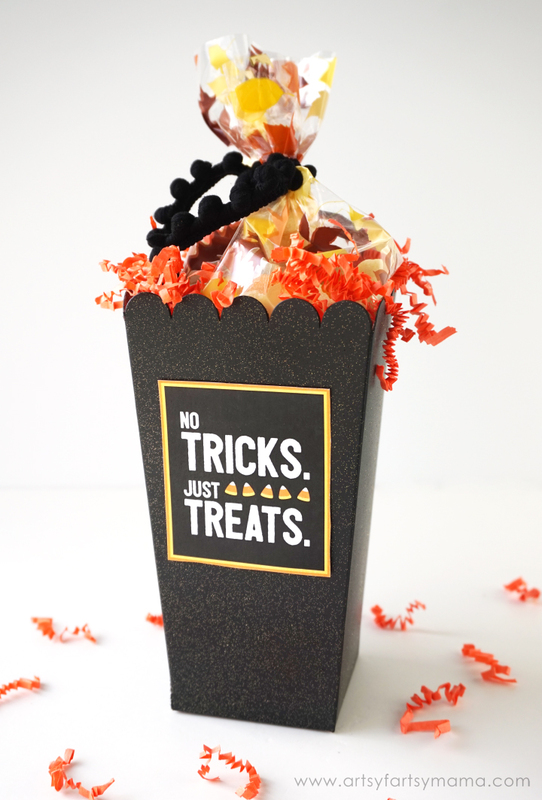 Fill the box with some orange shredded crinkle paper and package your treats in a Halloween cellophane bag. For a little extra cuteness, I tied the top of the bag with some black pom pom ribbon! Now the gift is ready to share with your favorite friends, teachers, or whoever might need a little treat in their lives! What a cute way to package treats! This is so cool for Halloween. Love your creation!